It’s Christmaaaaaas! Well okay, it’s nearly Christmas. Whether this time of year fills you with excitement as you cover the house in fairy lights, prepare the mince pies and spend time with loved ones, or fills you with dread as you trudge around the shops, spend your hard earned money and spend time with loved ones (see what we did there? ), if you celebrate Christmas then you do so with two billion other people each year. Christmas is both a cherished religious holiday and a commercialised phenomenon, and however you feel about it, it means something very different to us all. Christians regard Christmas as the anniversary of the birth of Jesus, the son of God, which is commonly known as the nativity in the New Testament of the Bible. However, the date of Jesus’ birth is not mentioned in the Gospels. Pope Julius I set the 25th December as the date for Christmas in the 4th century AD, in an attempt to Christianise the Pagan celebrations that took place at this time of the year. By the year 529, this date had become a civic holiday, and by 567 the twelve days from 25th December to 6th January (the Epiphany) had become public holidays. Over two billion people celebrate Christmas worldwide each year! Many Pagan practices were suppressed by the Church who gave Christian meaning to them, including what we now know as Christmas. Carols begun as Pagan songs for celebrating festivals such as midsummer and harvest, and by the end of the middle ages the singing of carols had become a Christmas tradition. It is not only a festival for Christians but also has roots in the Jewish holiday of Hanukkah, Druid beliefs, ancient Greek festivals and various folk customs of Europe. In England in the early 17th century, Christmas was not much different from what see of it today. 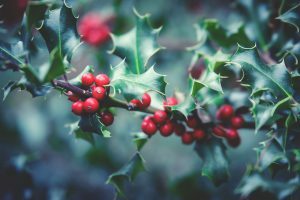 Buildings were decorated with holly and ivy, churches would hold Christmas services, gifts would be exchanged and charity was distributed among the needy. However, as the date of Christ’s birth is not in the Gospels, Christian Puritans (who believed that Christmas was too strongly linked to Pagan festivals and threatened core Christian beliefs) suppressed the celebration of Christmas in Europe and America from the middle of the 17th century to the beginning of the 18th century. As a result, all traditions related to Christmas were forbidden including attending mass, having mince pies or using holly for decoration. 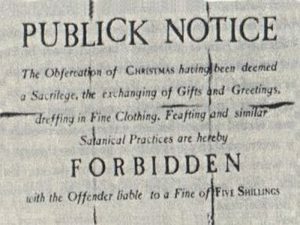 Puritan Christians banned Christmas – with offenders fined five shillings! The ban was very unpopular and some people continued to celebrate Christmas in secret, until the Puritan War on Christmas ended in 1660. Thankfully, the Victorian Era later brought about a huge revival in carol singing, the creation of the Christmas card and the popularisation of the Christmas tree. In Germany, the Christmas tree is commonly put up and decorated on Christmas Eve, when many people enjoy traditional Christmas dishes and open their Christmas presents. In some parts of Germany (largely the South East), children write to the ‘Christkindl’ asking for presents, who is often described as a young girl with ‘Christ like’ qualities, whereas in other parts (largely the North) they write to the ‘Weihnachtsmann’ (Santa Claus). 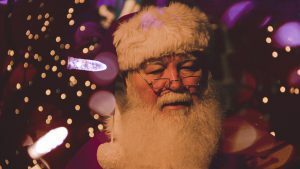 Shen Dan Lao Ren, Julenisse, Weihnachtsmann – Santa Claus has many names! In England, Christmas decorations are put up early in December, with many houses being decorated with fairy lights and sparkly displays. Children will write letters to Santa Claus, and traditionally leave out a snack and some milk (or a Whiskey!) for Santa and a carrot for his reindeer on Christmas Eve. 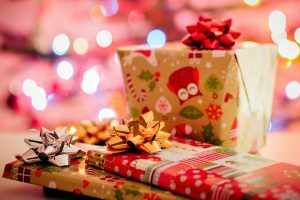 Christmas presents are opened on Christmas Day (usually in the morning) and a traditional Christmas Dinner with pudding (which has origins in medieval England) is shared. In India, Christmas is quite a small festival compared to others (such as the Hindu festival of Diwali) as only a small percentage of the population are Christian, and instead of having traditional Christmas trees, a banana or mango tree will often be decorated. In the South of India, Christians will place small oil burning clay lamps on the roof of their home to show that ‘Jesus is the light of the world’ to their neighbours. In Norway, people may traditionally leave a sheaf of wheat outside for the birds to eat over Christmas, and it’s common to light candles, including four candles symbolising each Sunday of advent. A wide range of cakes, sweet breads like ‘Julebrød’ and biscuits are baked and eaten over the Christmas period, traditionally it should be seven different types of biscuits, including gingerbread men. On Christmas Eve, children will wait for ‘Julenisse’ (Santa Claus) to bring presents. In the Philippines, many people will stay awake all night on Christmas Eve, going to church for mass, followed by a midnight feast called ‘Noche Buena’. Whilst they have many western traditions as a historical result of missionaries introducing their own customs (e.g. 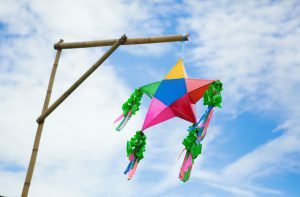 Santa Claus is Santa Claus), they also have their own such as making a star-shaped lantern called a ‘parol’, made out of bamboo and paper, which represents the star that guided the Wise Men. It is the most popular Christmas decoration in the Philippines. In South Africa, the Christmas Day meal is similar to that in England, but many families will instead have a ‘braai’ (similar to a barbecue), followed by a traditional Malva Pudding dessert made from jam and vanilla. As South Africa is in the Southern Hemisphere, Christmas takes place in the summer and so many people will have their dinner outside. Santa Claus brings presents on Christmas Eve to be opened the next day (although for those who speak Afrikaans, presents are left by ‘Sinterklaas’ or ‘Kersvader’). In China, Christmas is mainly celebrated in major cities rather than rural areas, but it’s becoming better known. Only some people will have a Christmas tree which is usually decorated with paper chains, paper flowers and paper lanterns. Santa Claus is called ‘Shen Dan Lao Ren’, and whilst western traditions are not well known, a tradition that is becoming popular on Christmas Eve is giving apples, usually wrapped up brightly in coloured paper. We all have individual variations and preferences of our traditions, or even create new ones with our friends and family. How do YOU celebrate Christmas and what are some of your own traditions? Comment below and spread the joy. 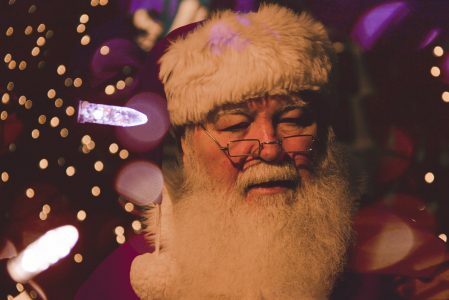 Did you know… that to visit every child in one night, Santa has to travel at 3,000 times the speed of sound, going to an average of 800 homes per second? 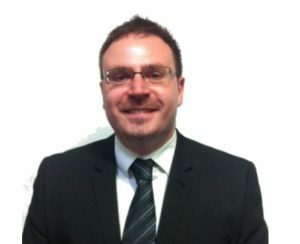 Yes, but Ciaran, 800 homes per second is no problem for Santa. He’s magic. That’s how he gets down chimneys even where they don’t exist. All I know is, he likes the Fursty Ferret real ale that we leave out for him, the mince pies always disappear and as for Rudolf the carrots have to be top quality or else he makes a mess. Merry Xmas!